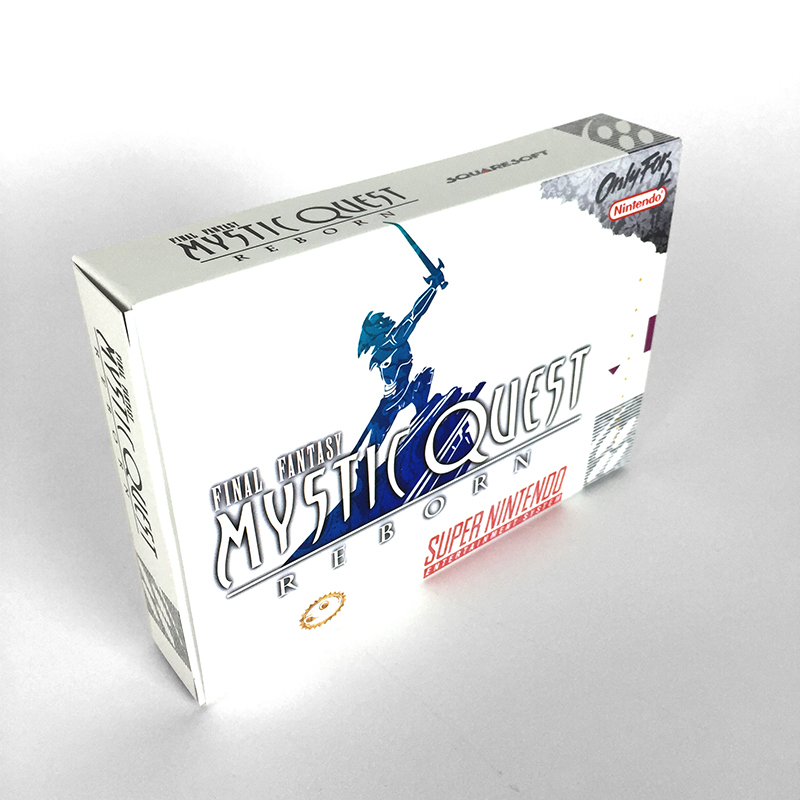 Most felt that Final Fantasy: Mystic Quest was a bit of a letdown. The game was very basic, presented no challenge, and could be cleared through in roughly 7 hours. Not with this Romhack. This game is a complete overhaul of Mystic Quest, making it much more difficult, balancing some of the characters, and adding minor musical/graphical changes. The list below is a set of active changes with this specif game. Imported some new music from Final Fantasy V and Seiken Densetsu 2 (Secret of Mana). Overhauled the entire game’s treasure contents and changed some locations of some of them as well. Brown treasure chests that give consumable items now have a quantity of 4x instead of 3x. Brown treasure chests that give consumable weapons give 8x instead of 10x. “Super” chests at the end of the game give 10x items instead of 25x. Semi-overhauled the characters to better balance from being a useless tool to being useful. No longer does Benjamin feel like he’s the spare until he gets the Holy or Flare Magic. Now Benjamin is the powerhouse and the support allies are exactly that–a support ally. Altered some of your allies’ starting magic to provide more challenge. Phoebe no longer has the Holy spell at the end of the game. Altered the White magic spells to not be able to be casted on monsters to prevent abuse. With exception of Exit, but with Exit you get no EXP from that monster you warp away with Exit. This means you can no longer cast Cure on the Dark King to kill him quickly! Tweaked most of the equipment in the game to have various levels of usability. Monsters have been overhauled, every monster has been changed and beefed up. Monster attacks have been beefed up, especially later in the game. The Battlefields have all had their contents changed and each Battlefield has it’s own # to defeat to earn the reward. The events of Final Fantasy Mystic Quest take place on a single continent of an unnamed world, which is divided into four distinct regions: Foresta, Aquaria, Fireburg, and Windia. The welfare of each region is determined by the state of one of four shining crystals: earth, water, fire, and wind, respectively. For centuries the Focus Tower had stood at the heart of the world. It had been a center for trade and knowledge, and the world’s people met there to peacefully settle their differences. But on one warm summer day, powerful monsters stormed the Tower, stole the four crystals, and then took off with the magical coins that kept the Tower’s doors unlocked. The monsters began consuming the power of the crystals; they grew in strength while the world began to decay. An old prophecy tells that at the time the “vile four” steal the power and divide the world behind four doors, a knight will appear to vanquish the darkness.